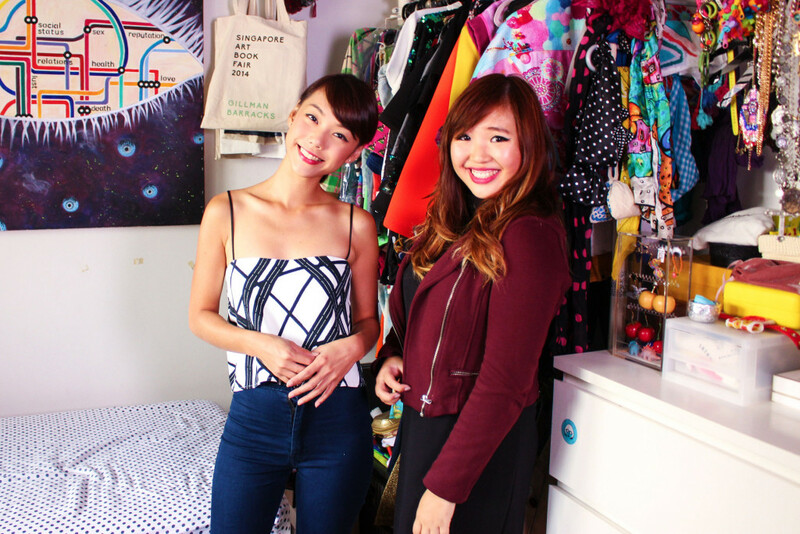 When we heard that clicknetwork was raiding fashion personality Linda Hao‘s wardrobe on That F Word, we knew we had to tag along. Not only because of our irrational obsession with wardrobes, but also because we didn’t want to miss out on a chance to see the fashion designer’s quirky clothes and accessories. While the crew was setting up for the day, we took the liberty of exploring Linda’s quirky room. 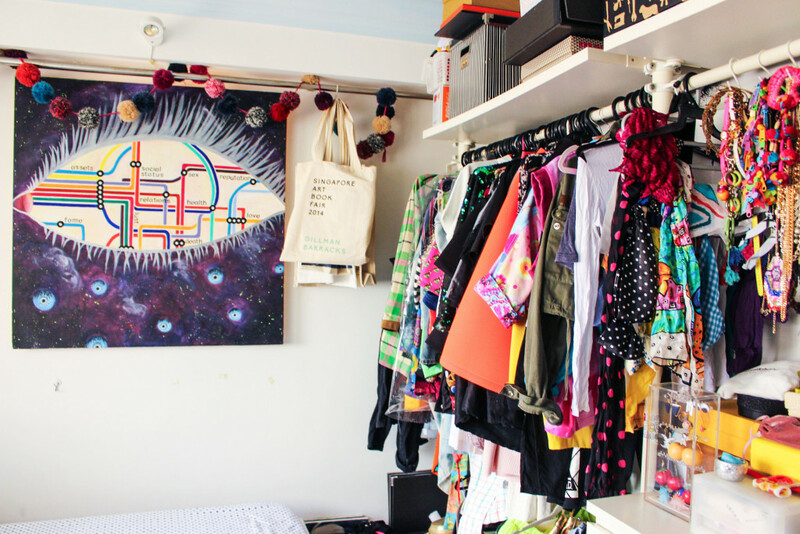 Her wardrobe was cleverly designed with an open concept (“Easier to see, so I’ll remember to wear things!” says Linda), and filled with an eclectic mix of colours, prints and fabrics. 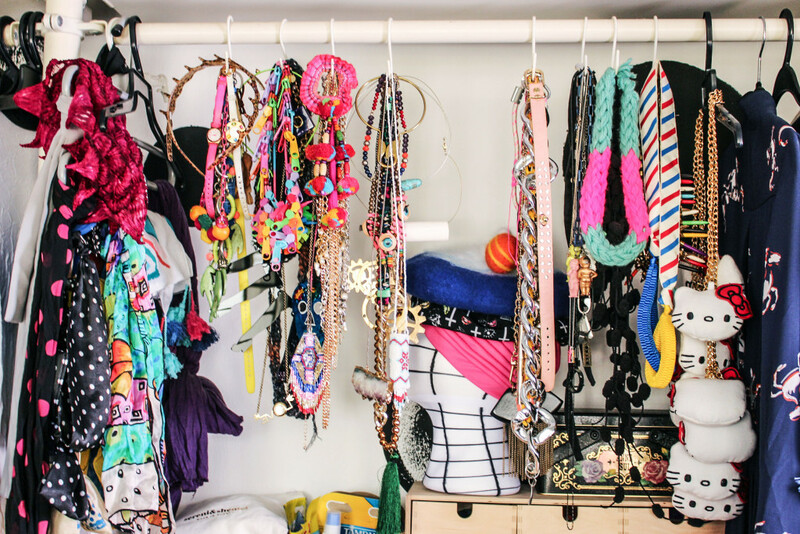 Linda’s collection of necklaces caught our attention almost immediately. The girl has some really crazy necklaces. Linda shows Drea and Jem a necklace made of Hello Kitty heads. We don’t know anyone who could pull that off…except maybe Linda herself. Here’s Linda waxing lyrical about her extensive collection of necklaces. She also has a lot of socks. Like, A LOT. 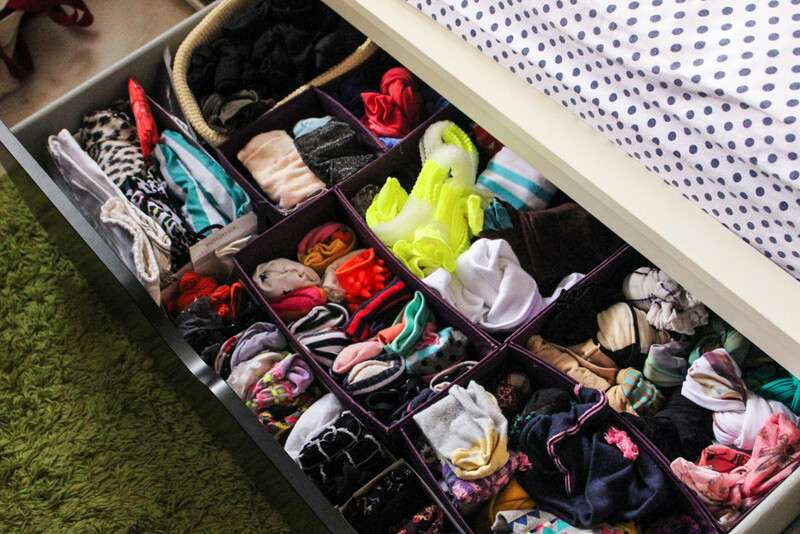 Her sock collection was (surprisingly) neatly organised in a drawer under her bed. “My mom is really nice lah, she folds them all for me!” Linda says, as we marvel at her collection. 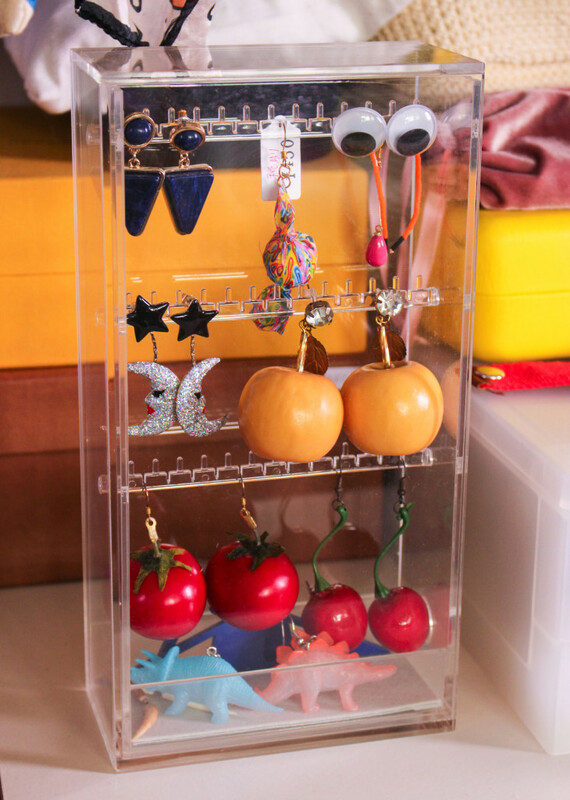 We spy lots of interesting knick-knacks on her dresser, and zoom in on this display case of earrings. Check out the pair with the dangly tomatoes! 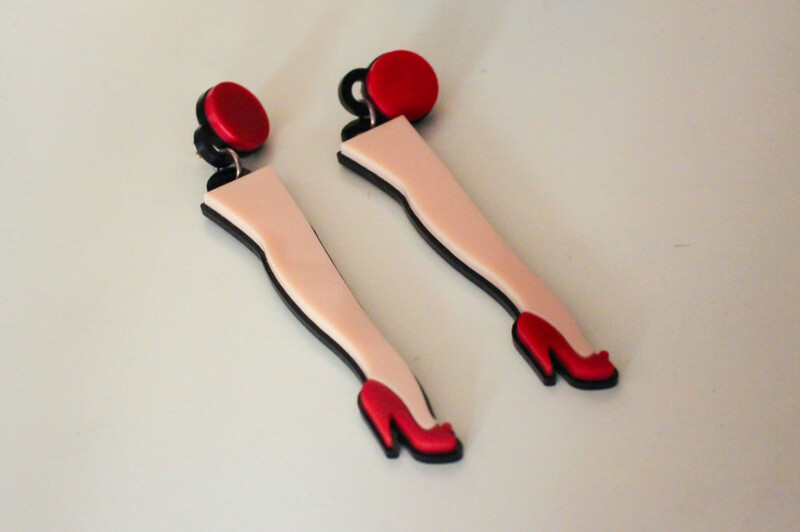 “Wait until you see these earrings,” Linda says, as she takes out a pair from a drawer. HOLY MOLY, we say. Are those…legs?! Photo op time! Drea puts the Leg Earrings on (along with a blue beret that Linda plops on her head), while Jem tries on a sequinned bomber jacket from Linda’s wardrobe. But Linda’s just like, Sorry man no can do, because I love that jacket too. Cue sadface from Jem. Never one to be discouraged, Jem sneaks another try in between takes (while Linda is distracted). She looks mighty pleased with herself. Won’t give up easily, this one. Not when it comes to sequins. 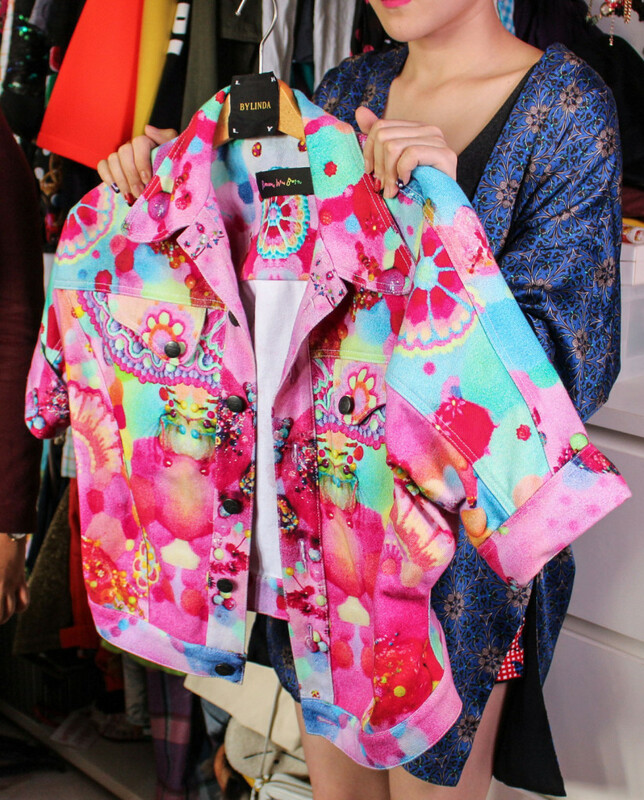 Linda picks out some special pieces from her wardrobe, including this Instagram-worthy psychedelic jacket. 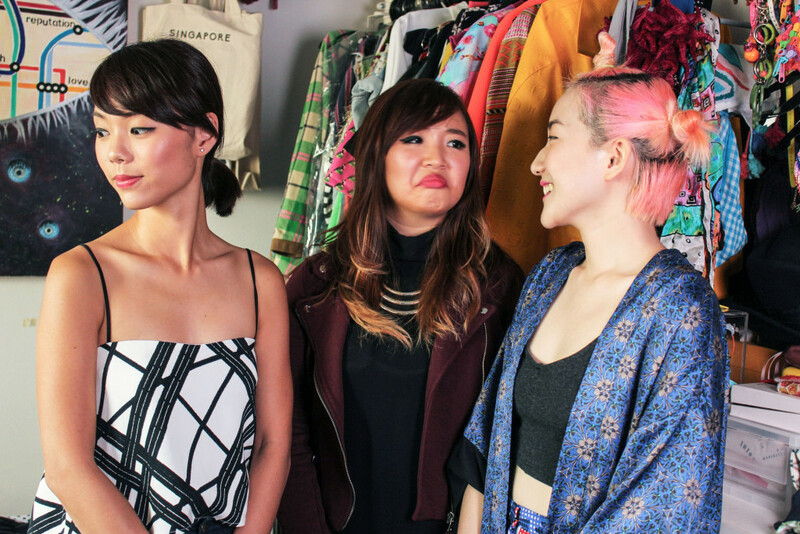 “Is there anything you wouldn’t dare to wear in Singapore?” the girls ask Linda. Linda, who designs for her fashion label YESAH, gives us a sneak peek of some goodies from her collection. This mini skirt was a popular favourite from the last collection, Linda says. 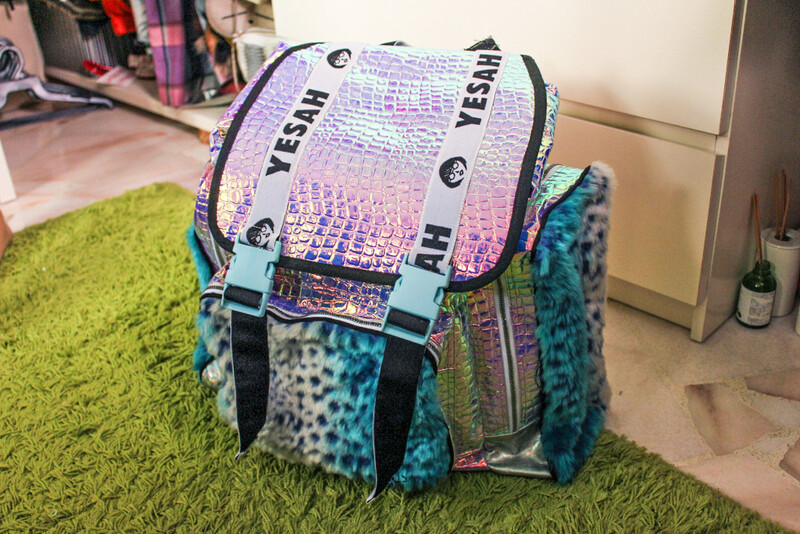 Linda also brings this YESAH backpack out for us to see. Sadly, the bag can’t really keep your drinks cold, but it’s still a really cool (pun intended) bag no? 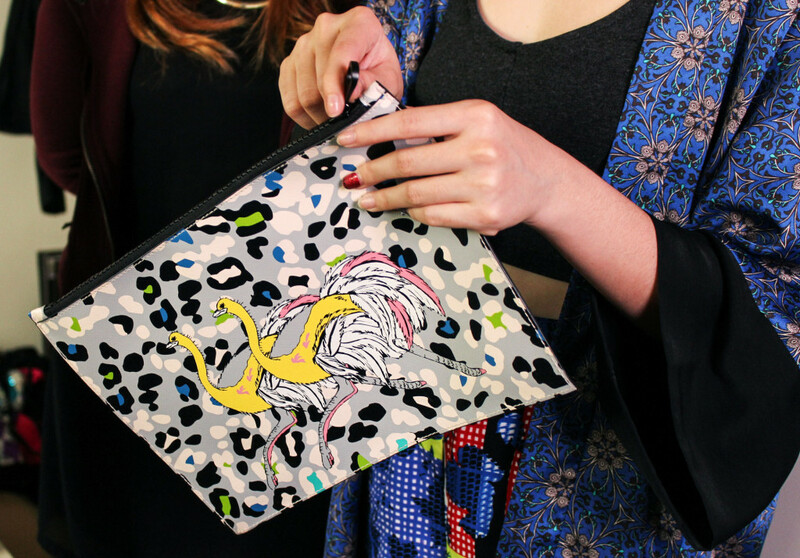 Speaking of bags, Linda shows us one of her all-time favourite clutches from Bimba Y Lola. It’s got this cool animal print motif on both sides. 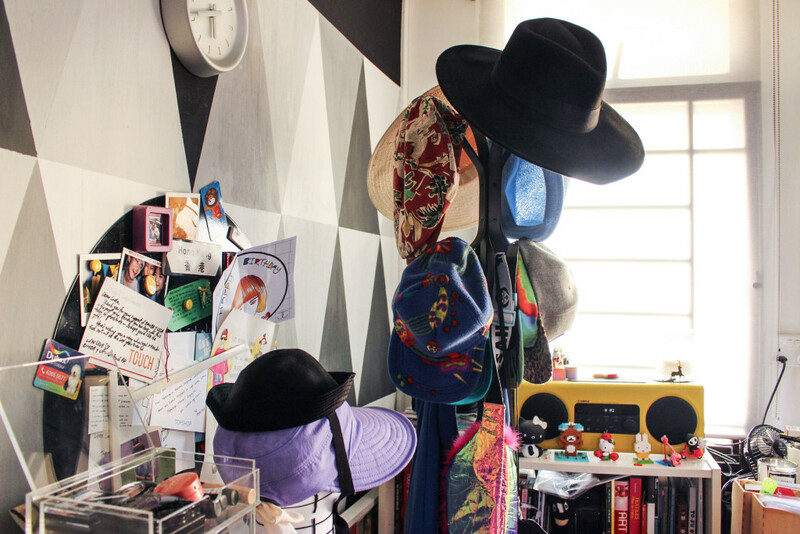 While the crew is packing up for the day, we ask Linda about her quirky room. 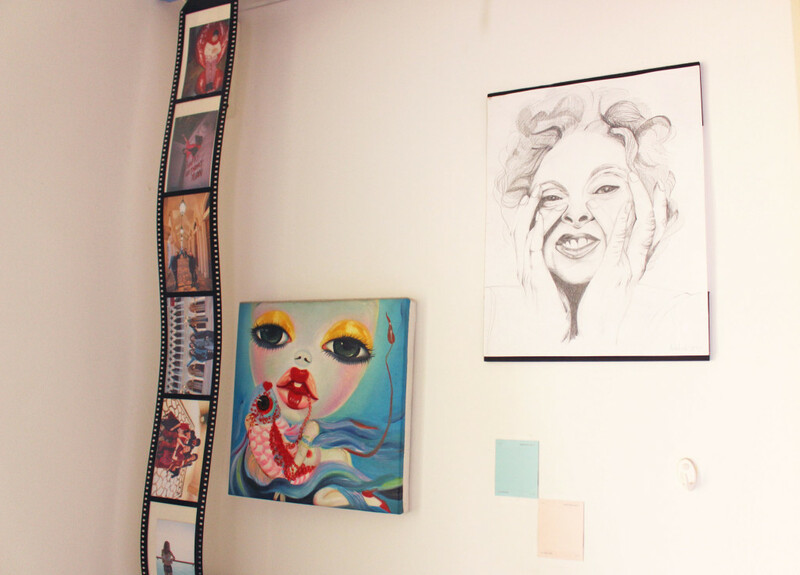 She’s quite the artist, it seems – especially since she painted that triangle motif on her wall. Yes, WITH HER BARE HANDS. 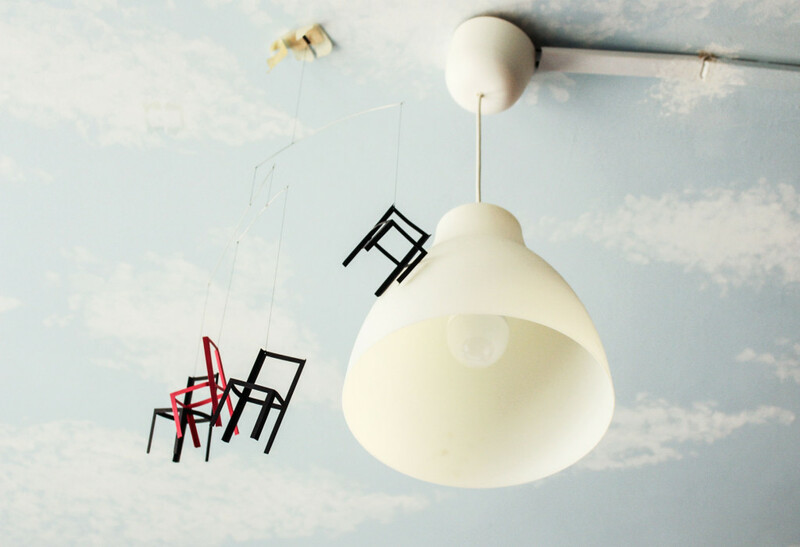 She also painstakingly painted her ceiling with a cloud motif. Linda, can we hire you to do our rooms too?? Some other pieces that Linda drew/painted. The girls pose for one last photo. Aaaand that’s a wrap for the day! 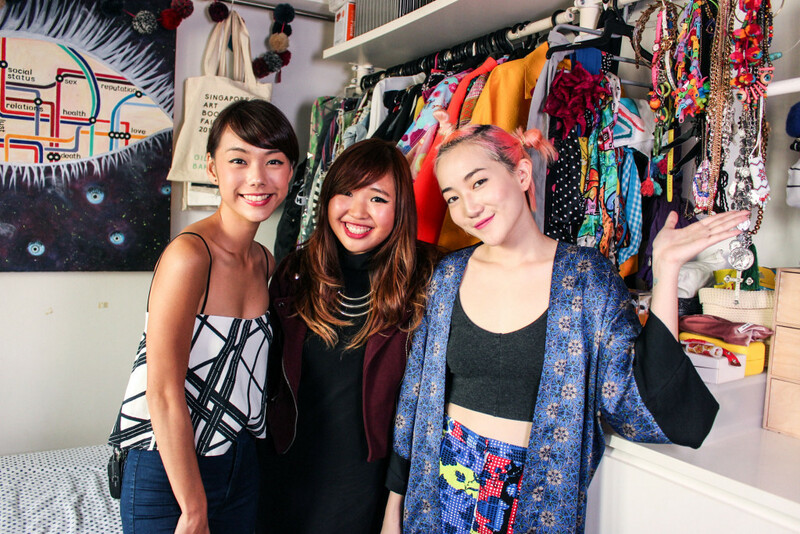 Catch the full episode of Linda Hao’s Wardrobe Raid on That F Word, coming out soon on clicknetwork! For more of Drea and Jem, follow them on Instagram here and here. 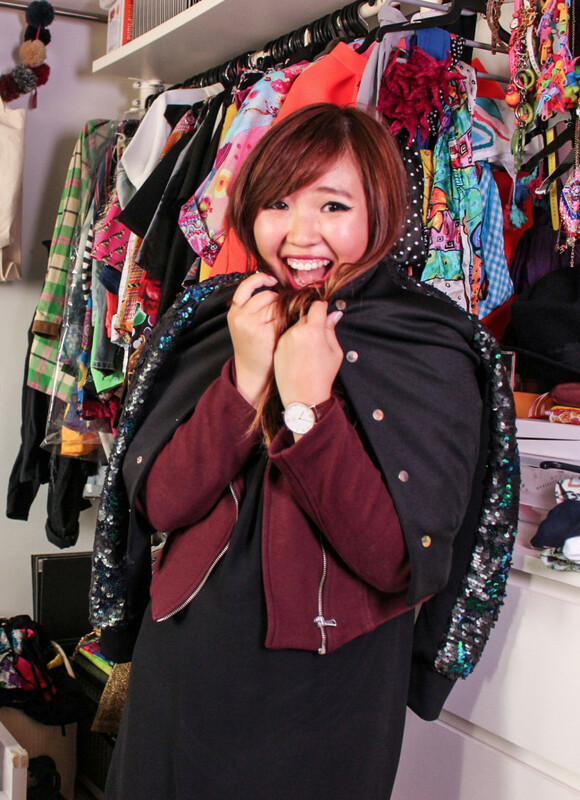 For more of Linda Hao’s eclectic style, follow her on Instagram or on the Phhhoto app (@lindahao).